BCDB Rating: "Mom And Jerry" has not yet received enough votes to be rated. This page has been viewed 16 times this month, and 1760 times total. Cartoon Characters: Dexter, Dee Dee, Mom, Dad, The Computer, Teacher, Captain, Waitress, LeeLee, Girl, MeeMee, Sal, Joe, Officer, Pedro, Announcer, Boys. 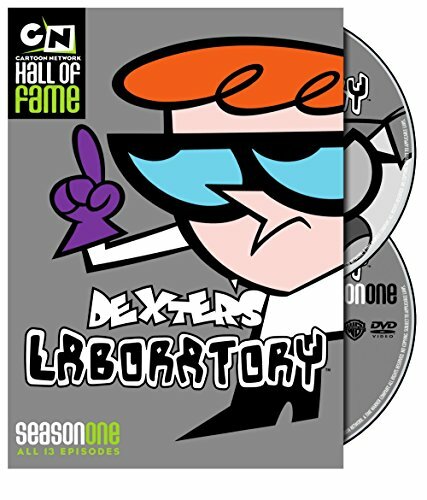 Vocal Talent: Christine Cavanaugh (Dexter), Kat Cressida [Kathryn Cressida] (Dee Dee, Teacher), Kath Soucie (Mom, The Computer, Waitress, LeeLee), Jeff Bennett (Dad, Captain), Allison Moore (Dee Dee), Kimberly Brooks (Girl, MeeMee), Tom Kenny (Sal, Joe, Officer), Rob Paulsen (Pedro, Announcer), Frank Welker (Boy, Boy #2). Produced By Davis Doi, Larry Huber, Buzz Potamkin, Genndy Tartakovsky. Executive Producer: Sherry Gunther, Larry Huber. Line Producer: Selma Edelman, Debby Hindman. Executive Producer (Cartoon Network): Linda Simensky. Supervising Producer (Cartoon Network): Brian A. Miller. Written By Andy Bialk, Paul Rudish. Music By Thomas Jones Chase, Steve Rucker. Main Title Theme: Thomas Jones Chase, Steve Rucker. Lyricist (End Titles): Pamela Phillips Oland. Animation Executive Producer: Buzz Potamkin. Executive in Charge of Production: Brian A. Miller. Executives in Charge of Production (Cartoon Network Studios): Khaki Jones, Linda Simensky. Director of Production (Cartoon Network): Jennifer Pelphrey. Color Stylist: Sharon M. Dabek. Storyboard Artists: Chris Battle, Charlie Bean, Todd Frederiksen, Kevin Kaliher, Seth MacFarlane, Craig McCracken, Greg Miller, Chris Reccardi, Paul Rudish, Chris Savino, Don Shank, Mike Stern, Gabe Swarr, Genndy Tartakovsky. Background Designer: Frederick J. Gardner, III. Head Writer: Jason Butler Rote. Graphics: Al Gmuer, Sue Mondt, Iraj Paran. Sound Supervisor: Timothy J. Borquez. Sound Recording Engineer: Robert Seror. Sound Re-Recording Mixers: Timothy J. Borquez, Eric Freeman, Timothy J. Garrity. Supervising Sound Editor: Roy Braverman. Sound Effects Editors: Roy Braverman, Jeff Hutchins, Tom Syslo. Music Editors: Roy Braverman, Bill Grigg. Supervising Recording Engineer: Ed Collins. Video Post-Production Supervisor: Heather Adams. Unit Post-Production Supervisor: Gayle Mnookin. Negative Cutter: William DeBoer, Jr.
Director of Music Production: Bodie Chandler. Production Assistants: Sharra Dade, Julie Humbert, Linda Moore, Auna Phelan. Production Liaison: Amy E. Wagner. Xerography: Martin Crossley, Richard Wilson, Star Wirth. Track Readers: Kay Douglas, Carol Iverson, Kerry Iverson. Ink and Paint Supervisor: Alison Leopold. © 1997 Cartoon Network. All rights reserved. Do you have anything to add to this page? Have we made any mistakes... or do you have any additional information about Mom And Jerry? If so, we would love to hear from you. Please send us a quick note with your additions or corrections to this page, and we will make the corrections as soon as possible! Do you love Mom And Jerry, or do you think it is the worst cartoon ever? Let us know what you think! Surely you have an opinion... so share what you think. Take a minute and post your own comments about this cartoon here. Mom And Jerry by Big Cartoon DataBase is licensed under a Creative Commons Attribution-NonCommercial-ShareAlike 4.0 International License.